Experience a taste of the Middle East in the capital of the UAE, where you will notice the blend of East meets West. Abu Dhabi's beaches, cultural sites and glorious green spaces provide a different experience to the glitz and glam of Dubai. It’s more conservative, less manic in Abu Dhabi, but it still has amazing shopping malls, plenty of high end restaurants and even a few nightclubs. 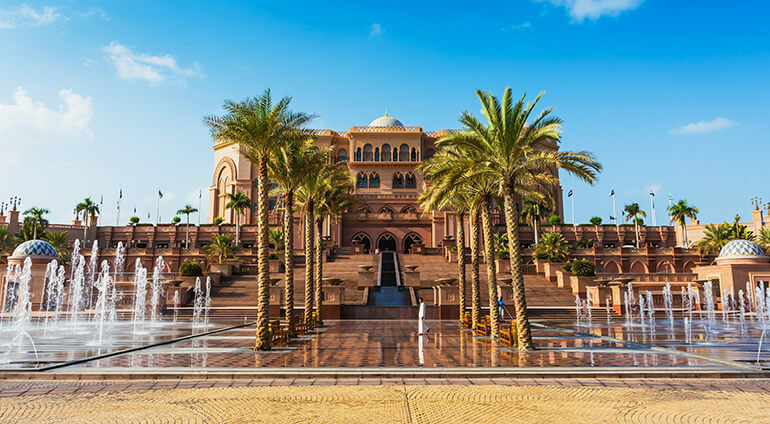 If you are looking for year round sunshine, luxury hotels and authentic cultural experiences then you will thoroughly enjoy a holiday to Abu Dhabi.